Tomorrow our family will be moving from Moldova to America. For those of you who are interested, our first flight leaves from Moldova at 12:50 PM Eastern European Time, which is 4:50 AM Central Time. From 8:40 AM Central Time to 6:20 PM, we will be in the skies between Munich and Chicago. Finally, we will arrive at the massive Barkley Regional Airport in Paducah at 11:00 PM Central Time. If you'd like to pray for us to have a safe, uneventful trip, that would be much appreciated. Saying goodbye to my dear friend Lilia, who taught us both the Romanian language and Moldovan culture. I've told you several times recently about how hard this will be for us. We are so excited to see all of our family and friends again, and to begin this next phase of our lives, but we are going to miss Moldova and the people here very, very, very much. Please pray for us not only as we fly tomorrow, but also over the next several months (years?) when we come to mind, because reverse culture shock can hit returning missionaries really hard and take a long time to get over. I'd heard about reverse culture shock before, and have been reading up on it again in preparation for coming back. It seems strange, doesn't it? I mean, you expect culture shock when you go somewhere else, but America is our home. 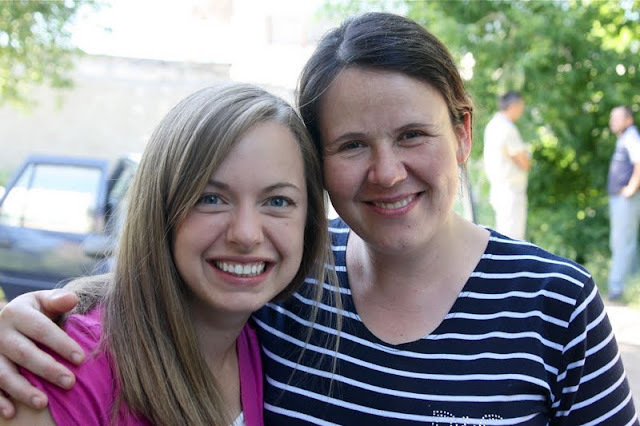 Could two years in Moldova really change things that much? In short, yes. It changes everything, actually. I emailed a few friends who I knew had experience with this to ask them for advice, and I wanted to share with you what one of them told me (with her permission, of course). I hope it helps you understand what returning missionaries go through, and also helps you better know how to help and pray for us. This particular friend has been in Moldova with her family for three years, and they are now on a year-long furlough in America. People talked about American cultural shock. My thoughts were, "Not me! I have lived in America for 44 years...3 years in Moldova is NOT going to change me so much that I can't live in my country again." Well, I was wrong. Like I said, it isn't "hard" but was an adjustment! I was so excited to shop at Target again! Yet it took me until the 4th time entering the store to actually buy something. Overwhelming. Clothing and shoe shopping. I thought it would be fun. And I am usually on top of what is in style. Nine months later, I'm still lost. I hate putting out the money because I need so much. I haven't really bought things for 3 years. I hate shopping right now! It takes me awhile in the grocery store too. It is overwhelming with all the choices. Everything is much/many and big. I love large cities but it always puts me in awe of how big they are and all that is offered to us. It's so true-- stores here are small and the selection is few. On top of that, we have no idea what has come in and out of style in the last two years. We desperately need new clothes, but we haven't the slightest idea where to start! You'd better believe we'll be taking Josh's sister along to teach us how to dress again. 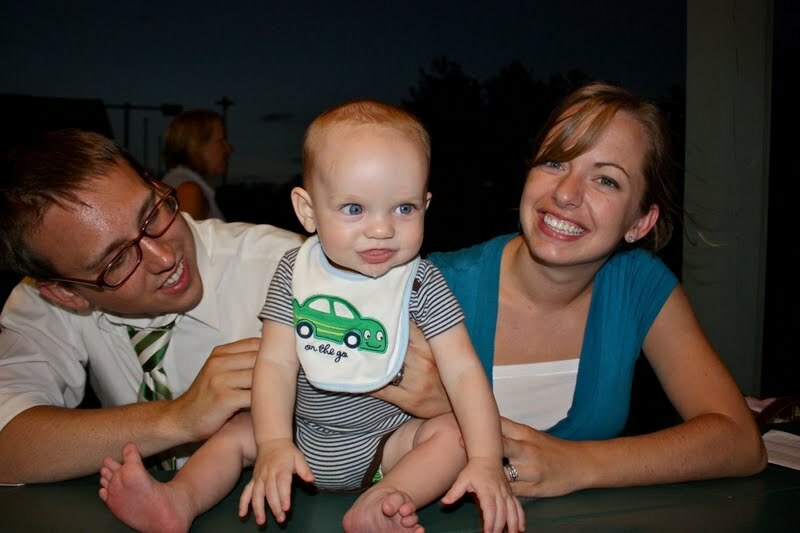 Our family in August 2009, just before leaving for Moldova. One night after we came home, I went out with 4 of my friends for dinner. I have kept up with them on facebook but the realization really hit: life has gone on. I had to relearn about what is out there for their teens, they talked about movies that I didn't know, they talked about new restaurants, etc., what was happening at our shared home church. I realized that I wasn't part of this life anymore. It made me sad. I think what hurts the most is during conversations between loved ones...there are jokes or experiences that they had together that I didn't get to share in. :( I miss family a lot. A friend (American Ambassador's wife in Moldova) gave me wise advice for myself and to share with my daughter. She told me not to expect even your best friends and family members to listen to all your stories you want to share. She said that they will give you 5-10 minutes here or there. Or listen to one story when the topic comes up in a conversation. It was really good advice. And she is right. They love you. They are even proud of you. But they don't get it. They truly do not have a clue. So it is hard for them to always hear about Moldova and try to figure out your life there. I try to be conscious even around my parents, sons, and my brother. They watch facebook and twitter and newsletters and our blog. I think that is enough info for them. And then I will share answers and stories when they ask. I have to remember to ask about THEIR life... they want to share with me what has happened in their lives and they DO NOT write blogs, newsletters, etc. One thing she didn't mention, because they are only on furlough and are returning soon to Moldova, is the element of role deprivation, which is especially difficult for men. Josh is going from being a Missionary and New Testament Professor to being... well... unemployed. That's really hard for a man. Please pray for him as he is trying to find a place to both serve the Lord and provide for our family in America. 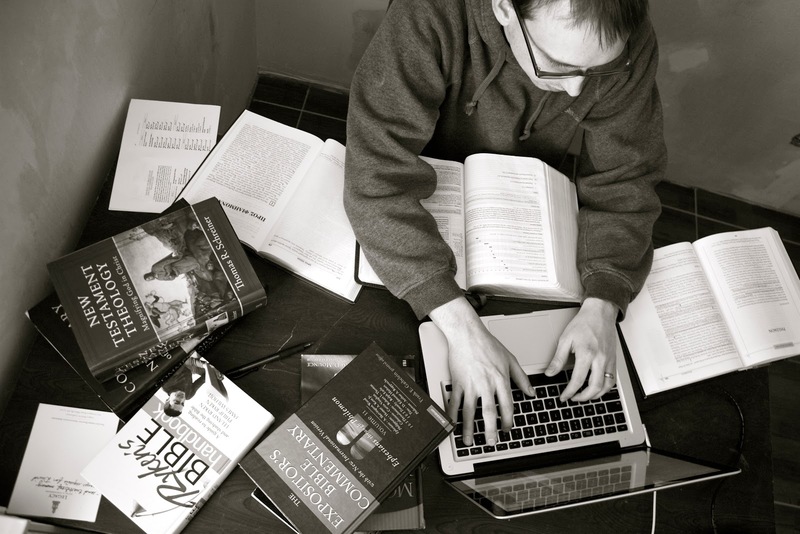 Josh studying hard to write the New Testament curriculum. So... I don't really know much else to say about it since I am, for today, still on this side of things. It's such a scary thing to walk into such an uncertain situation-- we don't know how we'll adjust to being home and we don't have much to look forward to because we don't know what's next for us. I'm kind of hoping that being prepared for reverse culture shock will make it not as hard, but I just really don't know what to expect. And please understand if we seem lost, awkward, overwhelmed, or sad. I'm praying for you all! I will do my very very best to listen, update, and help you slide back into America! Especially in the fashion area haha! I also recommend the book The Things They Carried by Tim Obrien. It's not about culture shock or missionaries. It's about the Vietnam war and returning from war, but I found that he put words on some of the emotions I felt the first time I went through reverse culture shock. It might be helpful for you. Definitely praying for you! I can't imagine a change that big. It feels like culture shock to me going from my tiny reservation town to a big city. (I'm used to one store and a tiny library... Entertainment is going for a walk!) I'll be continuing to follow your journey as you return to the States. TOTALLY understand. We live in Ecuador. This summer we went back to the US for a 2 and a half month trip. I stood in the cereal isle for 5 minutes just staring. My husband had to get me out of my daze so we could keep shopping. I didn't even buy one box... couldn't pick, too many choices.